To paraphrase Mark Twain, news of Dr. Karen DeSalvo's departure from the top job at the Office of the National Coordinator for Health Information Technology has been somewhat exaggerated. Last week, HHS Secretary Sylvia Mathews Burwell appointed DeSalvo to become acting assistant secretary of health, effective immediately, to head up public health matters, including HHS' Ebola response efforts. Lisa Lewis, who served as the ONC's chief operating officer, was named as acting national coordinator. The post said Lewis “will provide day-to-day leadership at ONC,” noting she had served as acting principal deputy national coordinator before DeSalvo joined ONC in January. An ONC spokesman was not immediately available to comment on the apparent backtrack. The HIT Policy Committee and its companion HIT Standards Committee are two key ONC advisory panels created by the American Recovery and Reinvestment Act of 2009, which also funded the federal EHR incentive payment program with its meaningful-use requirements. In a rare joint session of the two committees Oct. 15, they approved a new direction for federal guidance toward a national interoperability infrastructure, modeling it more on the Internet. A final version of the roadmap is expected to be released until 2015. 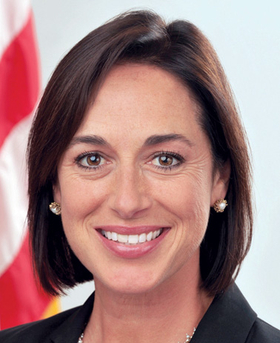 Last week's announcement that DeSalvo would be taking a new job after only 10 months at the ONC, the shortest tenure in the history of the agency, sent shock waves through the health IT community. And while members wished DeSalvo well, many noted that her departure came at an inopportune time. She was leaving at the same time as several other ONC leaders were heading for the doors, and there is significant angst over the timing of the Stage 2 meaningful-use criteria, the looming shift to the ICD-10 diagnostic and procedure codes, and the interoperability roadmap that's still a work in progress. There have been five national coordinators since the ONC was created in 2004. All have been physicians, as was the leader who served in the transition period before DeSalvo's arrival, Deputy National Coordinator Dr. Jacob Reider. Reider recently announced he would leave the agency in November.